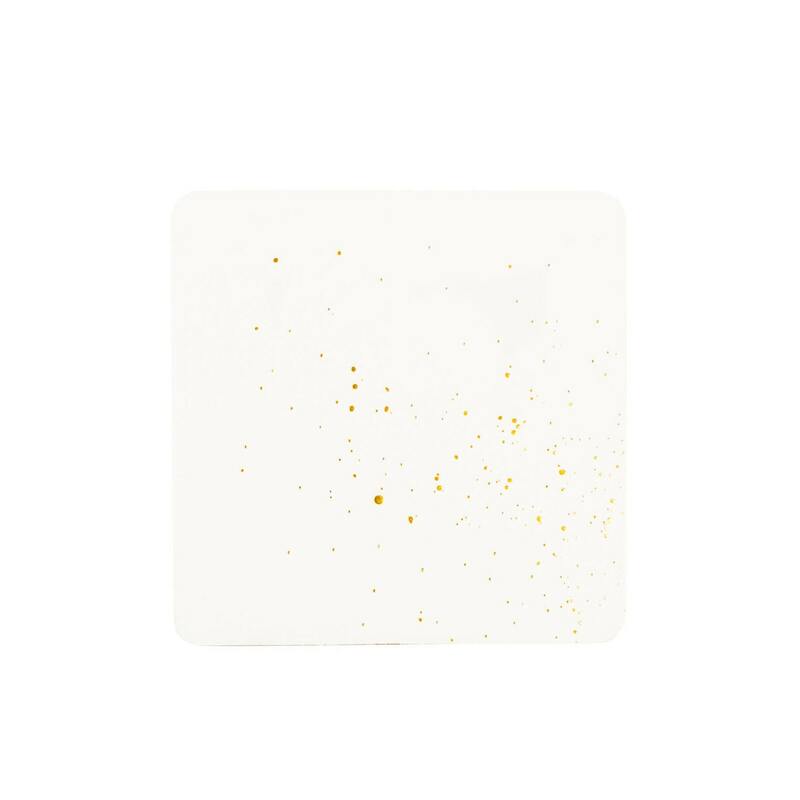 Gold Splatter Coasters, 4 Ply, Cotton Blotting Paper, 4 inch, 10 CT. These modern geometric coasters are sure to make a statement on your bar cart, coffee table, and at your home bar! Sleek, chic, modern, and durable. The 10 pack of Coasters are 4" x 4" with rounded corners, foil stamped in Gold on ultra thick 4 Ply blotting card stock. These coasters are super durable, and can be reshaped, flattened for continued use.